Elegance with Charm! That is what you will find here in this beautiful Custom Wildwood home in the Fairways. You will have peace of mind when buying this home from original owner who has meticulously cared for it. You are immediately greeted by a cozy front porch and rustic charm with stone accents and Hardie board siding. This Four Bedroom Four Bath floorplan offers a center kitchen plan with a convenient breakfast bar opening to the Family Room, Formal Dining, and Breakfast Nook. The Kitchen features plenty of storage with 42 in. real wood cabinets, stainless steel appliances, a convenient center island and abundant counter space. The master offers a separate en-suite sitting area with a beautiful setting and view of the backyard, a large customized closet.Elegance with Charm! 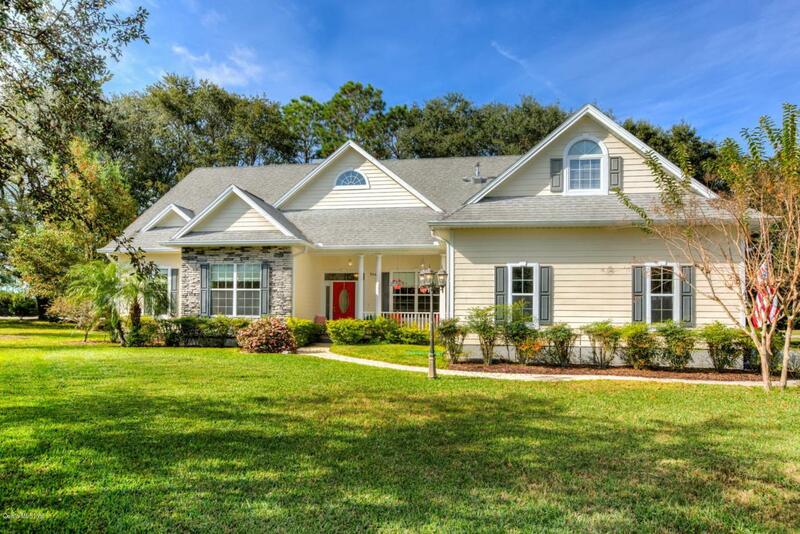 That is what you will find here in this beautiful Custom Wildwood home in the Fairways. You will have peace of mind when buying this home from original owner who has meticulously cared for it. You are immediately greeted by a cozy front porch and rustic charm with stone accents and Hardie board siding. This Four Bedroom Four Bath floorplan offers a center kitchen plan with a convenient breakfast bar opening to the Family Room, Formal Dining, and Breakfast Nook. The Kitchen features plenty of storage with 42 in. real wood cabinets, stainless steel appliances, a convenient center island and abundant counter space. The master offers a separate en-suite sitting area with a beautiful setting and view of the backyard, a large customized closet, double sinks, and even a jetted tub with separate shower. The fourth bedroom is close proximity to the Master and could serve as a nice office as well. The other two bedrooms offer private bathrooms and great closet space. You will appreciate all the attention to detail and custom design this home offers including 6 inch baseboard and crown molding, plantation shutters, custom window treatments, tankless propane water heater, 3 zone A/C, Upgraded windows (larger than standard to offer plenty of light), a gas fireplace, 11 ft. ceilings with 12 ft. trays, 2x6 sturdy exterior walls a large inside laundry room with plenty of storage, extra insulation and much more. The garage is 26x24 with amazing storage and there is even a detached workshop! Listing provided courtesy of Theresa Morris of Morris Realty And Invest, Inc.